Prime Minister Dr. Edourd Ngirente tours the new Skol’s packaging line. Rwanda’s Prime Minister Dr. Edouard Ngirente has said that Skol Ltd’s continued expansion favours the country’s ambitious plan to increase export’s base by 17% annually. 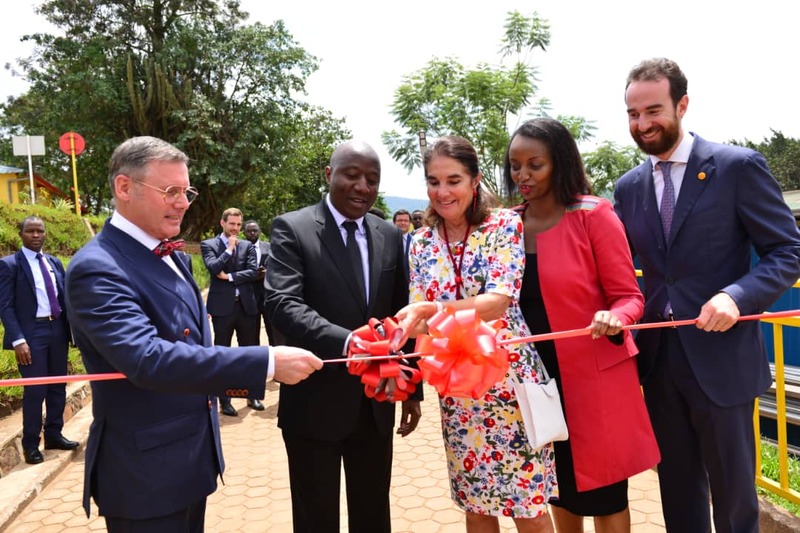 Skol Brewery Ltd – a subsidiary of Belgium-based UNIBRA, owned 100% by the family Relecom, entered the Rwandan market in 2010, with initial ambition to win 20% of market share by 2020. But the 2018 financial results showed that the company surpassed its target by 5%, mainly due to its brand line extension. 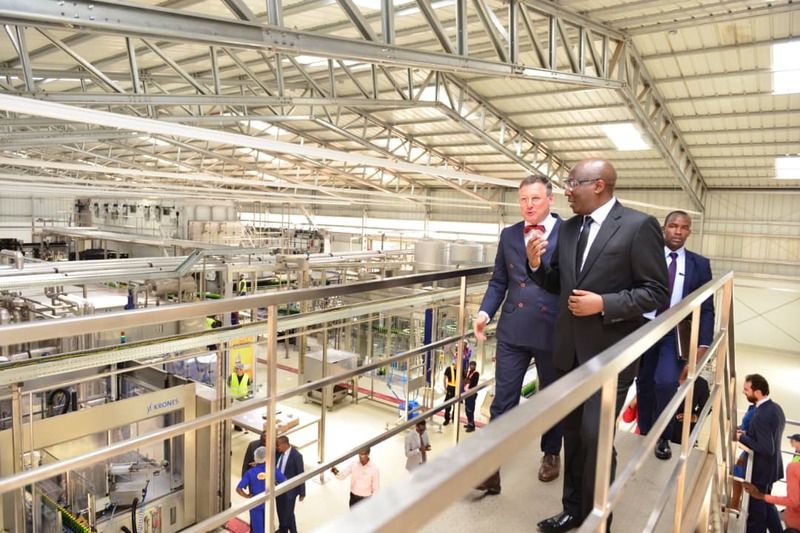 With an annual contribution of Rwf20 billion in government receipts, Prime Minister Ngirente said that Skol’s new packaging line is an important milestone that contributes to government’s targets of increasing exports. “This is in line with our national strategic transformation 2017/2024. In this strategy, we aim at promoting industrialization,” he said. With 40% growth in volume terms year-on-year, Unibra invested €50 million into the Rwandan market as of 2017. 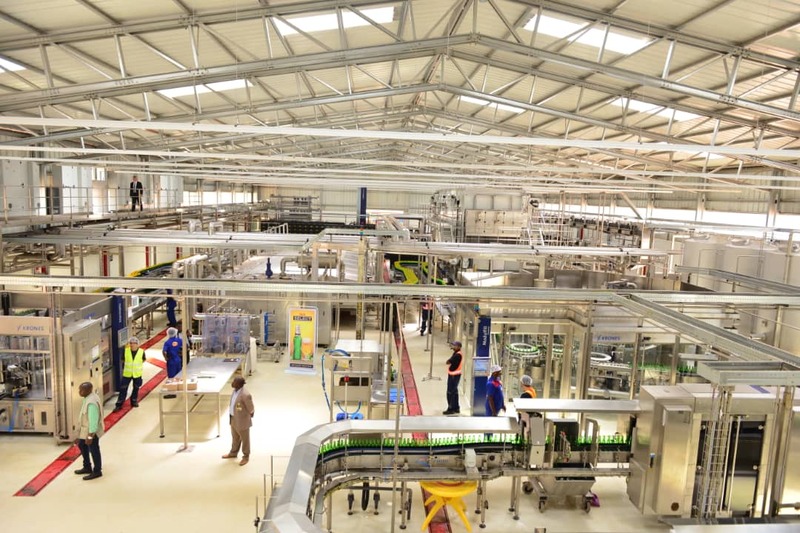 Skol officials said that the second packaging line represents an additional € 10 million in 2018, of which 50% of it was financed by local banks, while a further € 10 million will be invested in the coming years. Skol officials said the second packaging line means a double bottling capacity, allowing the company to export more heavily to neighboring countries. Skol’s current market share runs against Bralirwa Ltd – another brewery company that previously enjoyed Rwanda’s monopoly for over 50 years. 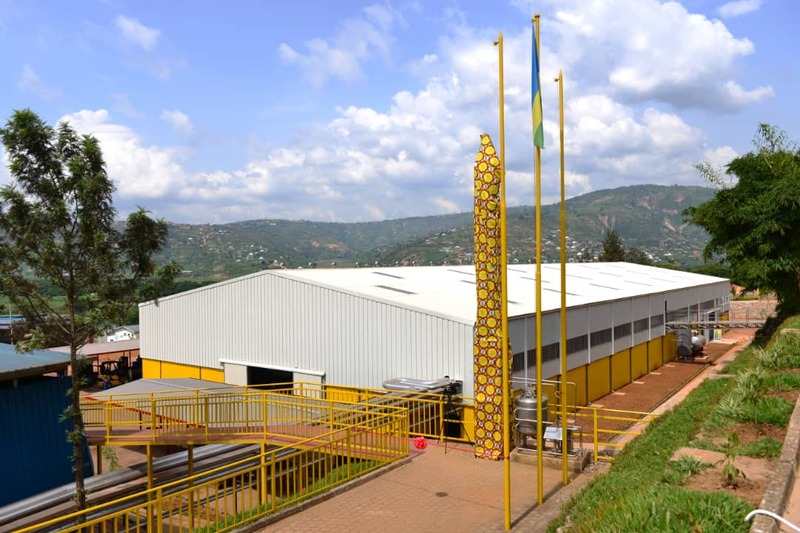 Since Skol’s entrance into the Rwandan market, the company directly employs 300 skilled 120 unskilled daily workers, with a distribution chain through 12 independent distributors around the country who brings in additional employment of around 200 people. The company also provides indirect employment to over 3,500 bars and retail points, among others.